This is a work of historical fiction regarding anti-semitism in the US as well as in Europe before, during and after World War II. I enjoyed the fictional characters and their intrigues and romances. 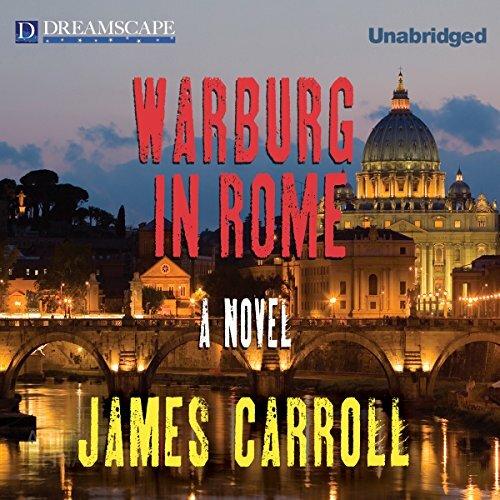 The title character Warburg is a secular Jew who is forced to confront his identity and heritage by events. There is also a Catholic priest who has to decide whether being a priest is a calling or a career. The lukewarm efforts of the US to help European jews during this era are rather shameful as depicted in this book. There was a casual anti-semitism in the US during this time. The role of the Vatican and Pope Pius XII remains controversial. Certainly there were pro facist elements in the Vatican and the Church. One of the central themes of the book is efforts by people within the Vatican and the US government to aid Nazi war criminals because for a variety of reasons, A recent non fiction book Operation Paper Clip details US actions regarding Nazi scientists. Carroll's story deals with efforts to save Nazis and their sympathizes to fight communism. Its a good listen and thought provoking.